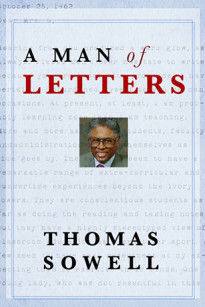 A Man of Letters traces the life, career, and commentaries on controversial issues of Thomas Sowell over a period of more than four decades through his letters to and from family, friends, and public figures ranging from Milton Friedman to Clarence Thomas, David Riesman, Arthur Ashe, William Proxmire, Vernon Jordan, Charles Murray, Shelby Steele, and Condoleezza Rice. 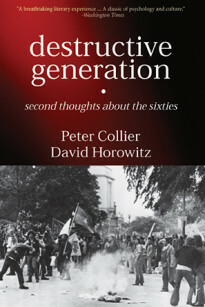 As leading New Leftists in the Sixties, Peter Collier and David Horowitz were intimately involved in the radicalism of the day. Later on, they became the first of their generation to publicly reject the objectives of that revolutionary era and point out the cultural chaos it had left behind. Part memoir, part political analysis, part social history, Destructive Generation is the compelling story of their intellectual journey into and out of the radical trenches. Against All Hope is Armando Valladares’ account of over twenty years in Fidel Castro’s tropical gulag. Arrested in 1960 for being philosophically and religiously opposed to communism, Valladares was not released until 1982, by which time he had become one of the world’s most celebrated “prisoners of conscience.” Interned all those years at the infamous Isla de Pinos prison (from whose windows he watched the failure of the Bay of Pigs invasion), Valladares suffered endless days of violence, putrid food and squalid living conditions, while listening to Castro’s firing squads eliminating “counter revolutionaries” in the courtyard below his cell.